Fill power 700, for extra warmth. 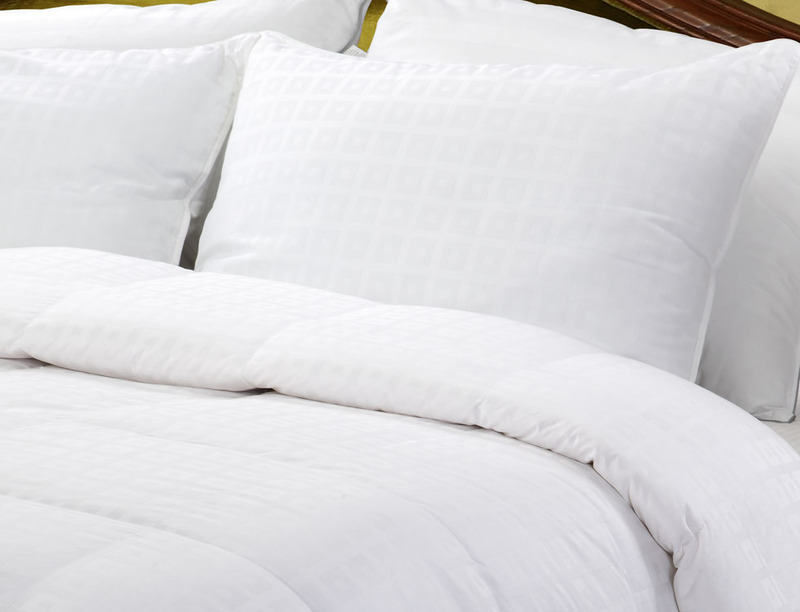 Indulge yourself with our exclusive Aloe Vera white goose down luxury comforter. 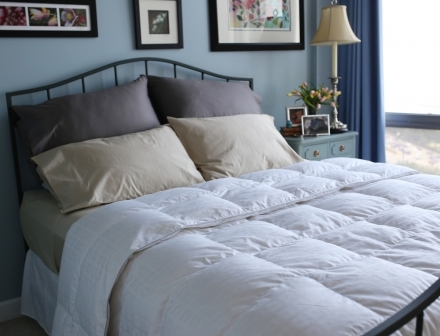 It is extra warm and hypoallergenic. 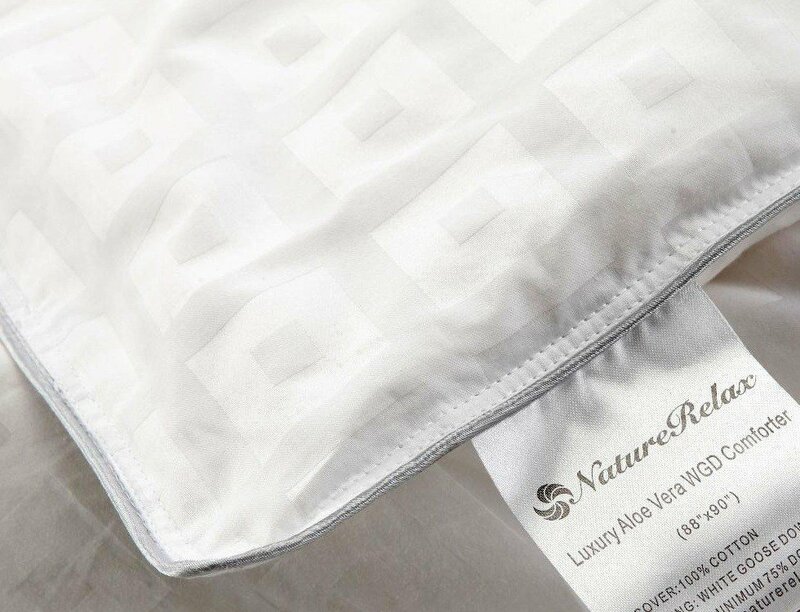 Nature Relax Aloe Vera Down Comforters feature premium white goose down fill, a 1000 thread count, and 100% Egyptian cotton sateen cover, infused with natural Aloe Vera for luxurious comfort and silky feel next to your skin. 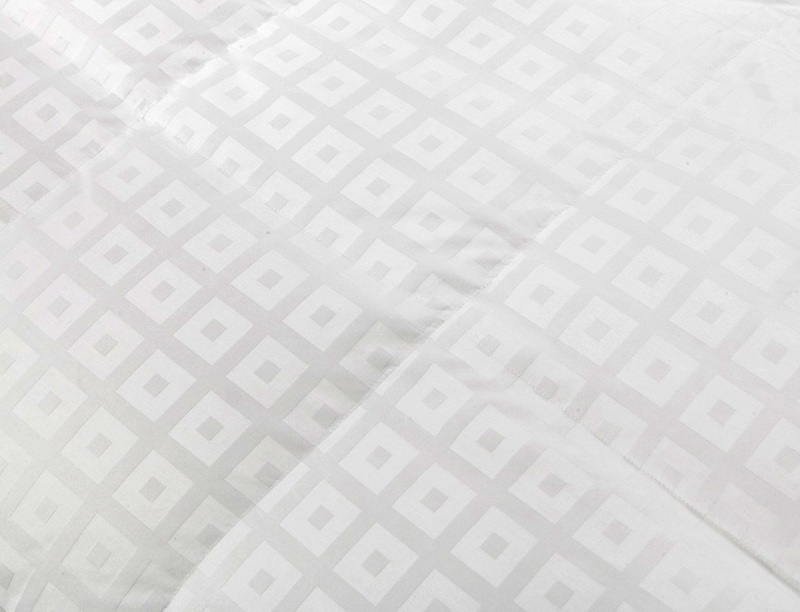 It is naturally hypoallergenic for those with sensitive skin and allergies. 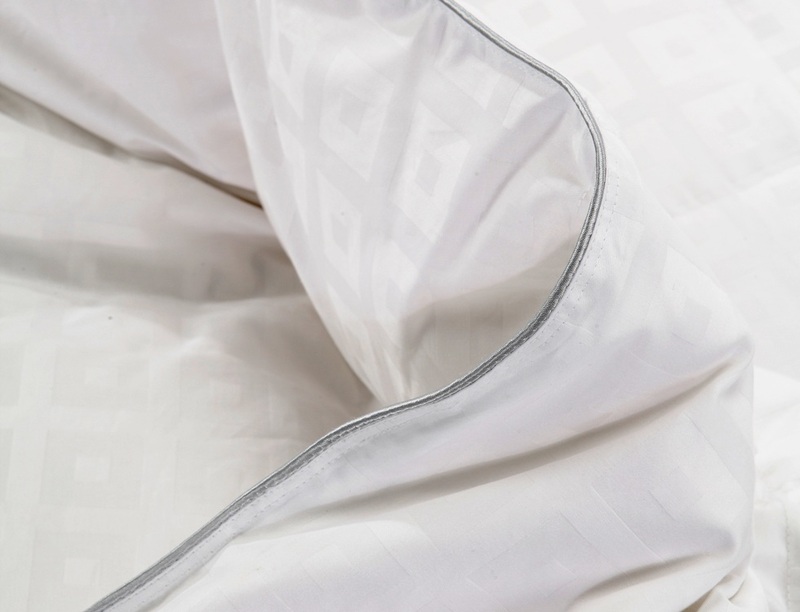 Our White Goose Down Comforter is amazingly soft and luxurious with 10" baffle box construction keeps the down from shifting and causing cold spots. And that insures a warm night’s sleep. 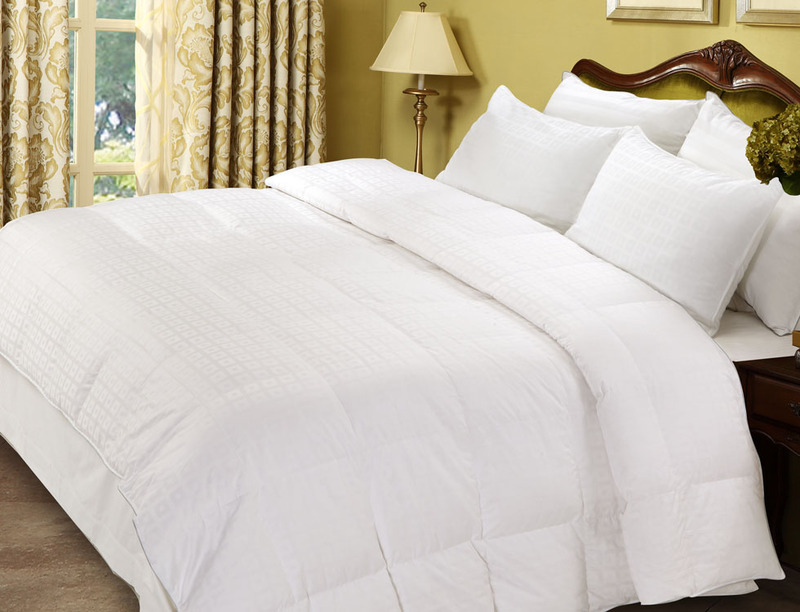 King size: 108" x 90"